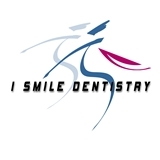 I Smile Dentistry (Irvine) - Book Appointment Online! I've had VERY bad experiences at the dentist in the past. Dr Bouhairi was super thorough with everything he did, explaining to me every tool he used and what exactly he was doing. While I still don't necessarily consider the dentist fun, he definitely made it the best experience I've ever had at a dentist. My insurance covered very little, and Dr Bouhairi was able to set up payment plans with me to continue coming back to receive immediate and wonderful care. I've recommended Dr Bouhairi to everyone I know in that area. Thank you!